Increase sales and profits with our electronic pull-tab dispensers. Choose from our Tab-Tronic 4 column or maxim 6 or 12 column ticket dispensers. Each comes with the ability to program each column for different ticket denominations as well as an auditing system that tracks all the money run through the bill acceptor. All dispensers are equipped with a security alarm and can be wall mounted or placed on a stand. Dispensers can hold up to 3200, 4200 or 8400 tickets. Be sure to ask us about the Kings Ransom jar ticket dispenser as well as our new Cyberdyne finite pull-tab dispenser. 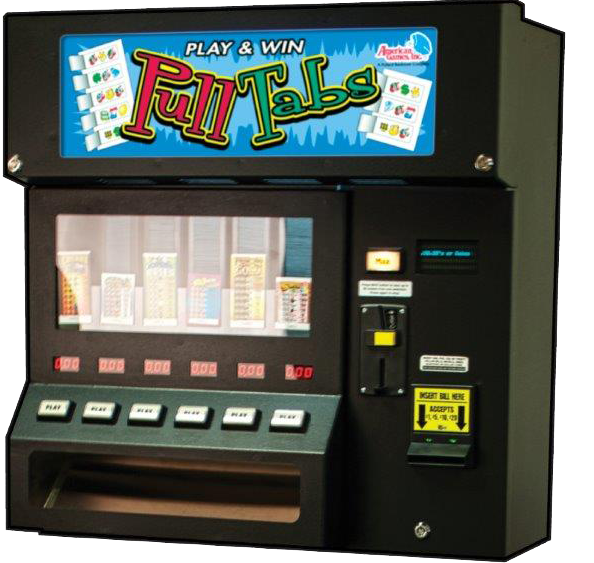 We often offer used equipment in both Bingo and and Ticket Dispensing Machines. Ask a representative for more information. All equipment comes with a one or two year warranty on parts and labor and can be purchased or leased through one of many flexible payment plans. Our service technician is on hand 24 hours a day, 7 days a week to handle all of your equipment repairs.